Davenport, Iowa – June 23, 2017 – The Printing & Imaging Association of Georgia (PIAG) announced that ElandersUSA, Elanders Americas’ Acworth, Georgia facility, is an award winner in its 2017 Print Excellence Competition. The competition is one of the largest printing competitions in the nation drawing several hundred entries. A panel of two out-of-state judges with extensive experience in printing and print production were brought in to examine the entries. Each entry was judged on its own merit in a category with similar printed pieces. The judging criteria included: registration, clarity and neatness, sharpness of halftones and line drawings, richness and tonal qualities of color, paper and ink selection, ink coverage, difficulty of printing, effective contrast or softness, overall visual impact, and bindery. Of our six submissions, four were deemed Best of Category, qualifying us for the Top Notch Award that will be announced at the ImPRESS Showcase & Print Celebration in August. The remaining two entries earned Award of Excellence recognition. Below are our award winning entries. The Print Excellence Competition, owned and managed by PIAG, is an annual event that recognizes and rewards printing and imaging companies who combine fine craftsmanship with technology in order to produce outstanding finished products. The award-winning companies are honored each year at PIAG’s ImPRESS Showcase & Print Celebration, held this year at The Fox Theatre in Atlanta on August 10. Elanders AB (publ) is the parent company of the Elanders Group and the company’s B shares are listed on NASDAQ OMX Stockholm’s Mid Cap list. The Group has approximately 6,500 employees in 20 countries on four continents and annual net sales of SEK 8.5 billion. Elanders is a global supplier of integrated solutions in the areas supply chain management, print & packaging and e-commerce. For more information, please visit www.elanders.com. 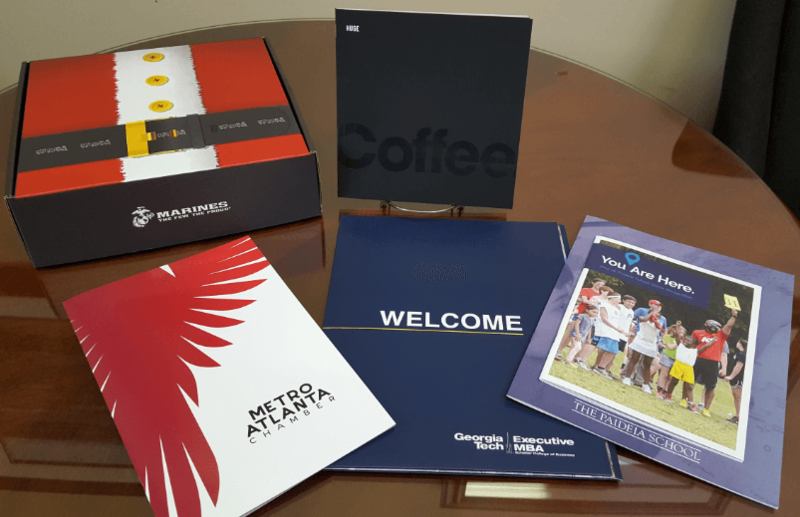 Since 1894, PIAG has been dedicated to advancing the success of Georgia’s printing and imaging industry. Working together with Printing Industries of America, the world’s largest graphic arts trade association, PIAG provides training, resources, and a voice of advocacy on both a state and national level. www.piag.org.